Air Canada Vacations (ACV) continues to reveal new itineraries that will be featured in its upcoming Europe and Cruise brochure. Recently, new programs for Scotland, England and France have been added and segmented into the categories of Urban Getaways, Guided Tours, Fly & Drive and Fly & Rail Vacations and French Riviera Escape. In Scotland, the Urban Getaways + program offers travellers the option to discover capital Edinburgh at their own pace and includes a hop-on/hop-off bus tour with stops in historical neighbourhoods, as well as tours of Loch Lomond National Park and several whisky distilleries. In England, Fly and Rail options allow travellers to explore the UK and journey into surrounding countries including France. The London & Paris itinerary includes a panoramic sightseeing tour of London, followed by transportation aboard the Eurostar to Paris. There, travellers will enjoy a boat cruise on the Seine and soak up the culinary, culture, art and fashion scenes. ACV’s extended program in France complements its sister company’s upcoming route from YUL to MRS, set to launch in June 2017. The 3X-weekly seasonal service will be operated by Rouge. ACV’s French Riviera Escape program offers travellers a start in Marseille followed by a visit to Nice’s ancient streets and popular beaches. Travellers will also enjoy a daytime excursion to glamourous Monaco. 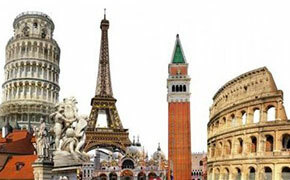 ACV’s Europe program offers strong incentives for early booking. When clients book any pre-bundled air-inclusive package to Europe by 31MAR, they will save $300 per couple; $150 per adult; receive a reduced deposit and free seat selection, and earn 4,000 Bonus Aeroplan® Miles - 10,000 extra miles on Ireland packages. This promotion is also applicable to Europe air and cruise bookings. ACV is also offering a discount coupon of an additional $100 off when clients book a European package with a travel agent - that’s a total of $400 in savings. Click here for more details and to print the coupon.